I continue to be amazed by all of the awesome places to go on dogventures right in our backyards. HRM has done a pretty great job of preserving lots of beautiful green space, even as it expands into the suburbs. Take the Belchers Marsh Park for example. 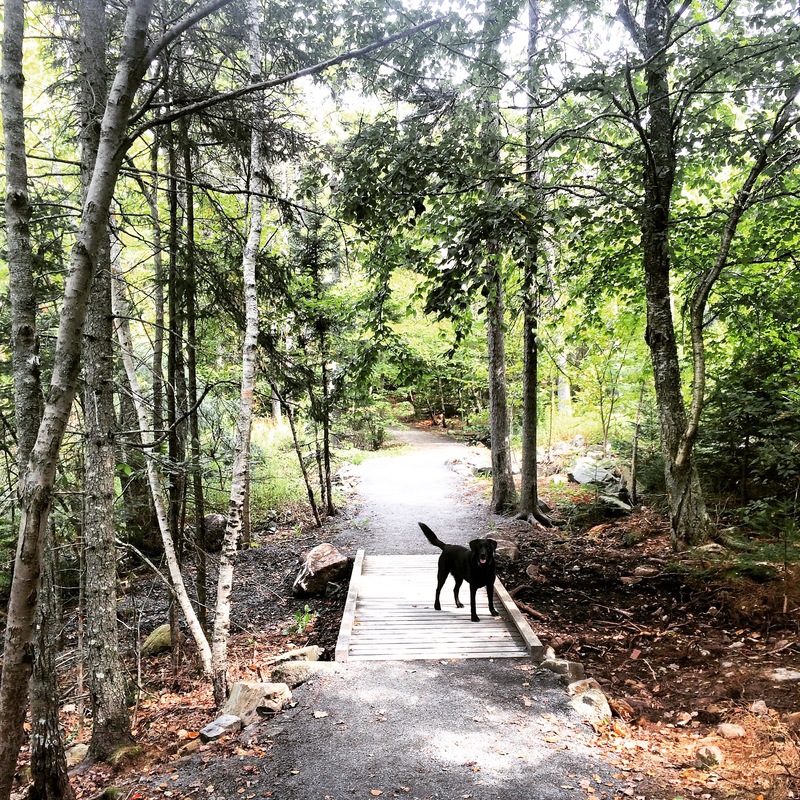 You probably wouldn’t expect to find a vibrant marsh and a pretty winding trail tucked in behind a bunch of apartment buildings in Clayton Park. Yet there it is. I love that. I love that there are “sneaky” places all over Halifax explore with your dog. I love that you don’t always have to get in a car and drive across town to go to the one or two “major” City parks. I love that it’s so easy to spend time outside with your best pal. Because while we love our hikes, our camping trips, our beach days… it’s the everyday walks and fetch games where we actually spend the most time with our dogs. And isn’t it lovely that we have so many beautiful places to choose from? The Belchers Marsh Park trail loops around Belchers Marsh, and across Parkland Drive you’ll find another loop around Little Belchers Pond. Both “loops” are great, and the entire trip is probably about 3-km return: the perfect distance for an evening stroll. Belchers Marsh Park is a great example of an urban green space that makes it easy to enjoy the outdoors with your dog. There are many other examples throughout HRM, like our daily go-to, the Russell Lake and Morris Lake trails (a.k.a. the Portland Lakes Trail), as well as Cyril Smith Park, the Chain of Lakes Trail, Spectacle Lake and Frenchman Lake, and many more. These “easy” parks can also be easy to take for granted… so don’t! Cherish these green spaces that not everyone is so lucky to have. And cherish those “every day” walks with your dog!